Esor is one of South Africa’s benchmark civil engineering and construction groups providing specialist construction solutions including: developments, building & housing, infrastructure, pipelines, pipe services and sanitation. 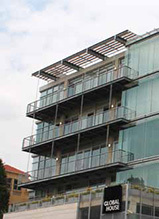 The group’s growth trajectory has been marked by a number of significant milestones, which on 25 June 2009 culminated in a strong debut on the JSE Main Board. Esor had previously been one of AltX’s top performing companies for three years – under the name Esor Limited – before transferring to the JSE Main Board. The group’s sustained share performance and high shareholder returns on AltX garnered the ‘AltX National Business Award’ in 2008. Since the group debuted on the JSE in 2006 it has topped an almost 35-year track record, with the group achieving strong organic and acquisitive growth, boosting its top-line from R100 million to R2,3 billion at year-end in February 2013. 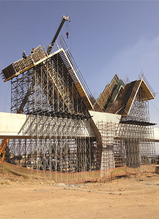 Two strategic acquisitions in 2008 saw Esor diversify into the civil engineering construction sector, expanding its services to include above-surface civil engineering and pipeline construction services. 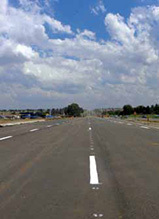 Esor operates throughout South Africa and its neighbouring countries through the six streamlined core divisions housed under one single legal entity – Esor Construction (Pty) Ltd a wholly owned subsidiary of Esor Limited. Boasting the highest possible ‘9CE’ and ‘9GB’ grading from the Construction Industry Development Board, the group is able to tender for construction projects of unlimited size and value. The Pipejacking sub-division housed in the Pipelines division lies at the heart of Esor’s roots and for 35 years has provided innovative solutions to the industry in the trenchless technology realm. No jacking job is too small or too big. 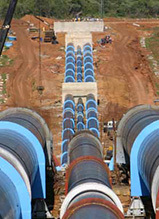 Esor have set every major record for Pipejacking in Southern Africa for size, distance and speed. The technique extends to culvert and bridge jacking where Esor is also an industry leader. Esor has a Level 3 BEE status. It has come to our attention that a fraudulent call for construction tender bids is being circulated in the name of Esor Limited. The tender notice cites several opportunities under tender numbers ES006/2018 to ES024/218. The bid fee of R6 650 and contact details (Karen Smith (Mrs) +27782404240 or email tender.esor@contractor.net) are all falsified and are in no way linked to Esor Limited or any of its subsidiaries.